PCT Aqueous Cabinet Washers offer several options to degrease & clean your work, by combining pressure, heat with aqueous cleaning solution. Single or multi-stage custom units are designed to meet your cleaning specification. 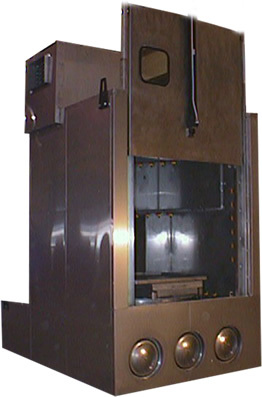 Aqueous spray cabinets are helpful for cleaning large quantities of parts or parts that are heavily soiled. Cabinets are better for cleaning larger sized parts than Vibra Degreasing Systems. Industrial Parts Cleaning has been a part of our lives for over 80 years. 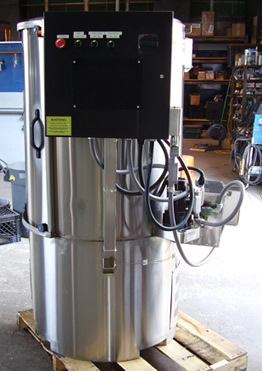 You can trust us when using our aqueous cabinet washers as degreasing systems.